As you may or may not know my wife and I now have two children, which is terrific fun and keeps us super busy. We have also been fortunate enough to arrange our finances so that my wife can take a decent amount of time off work to care for them both, which was something we both wanted all along. While things are going relatively well, we have had to manage our money quite closely to ensure we can continue this way for as long as possible. To be honest it hasn’t been too difficult to keep track of things because we have a very simple, but effective budget that has never let us down. I’ve mentioned it before, but essentially it involves adding up all of our expenses and assigning relevant portions of our regular income to each so that we always have the money to pay these costs. 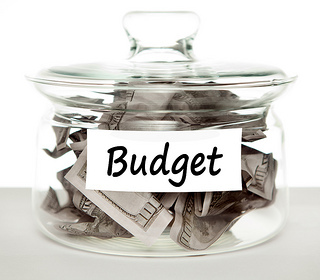 We try to review the budget every 6 months or so to make sure things are tracking well and make any minor adjustments as needed. As I’m sure it is for most other people, insurance (particularly car insurance) is one of the biggest costs for us and to be honest, one I least like to pay. Although it is necessary, I still have trouble with the concept of paying for something that you hope you don’t ever need. We had done a reasonable amount of research in the past and thought we had secured the best rates available, but it is an area that we try to review regularly to ensure we don’t have to pay any more than necessary. It’s amazing the way a lifestyle change can motivate you to delve further than you ever have before. 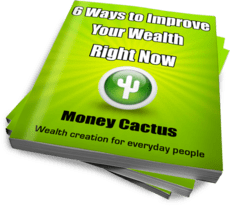 We thought that we had done a pretty good job in the past, but once we began to look at things with a view to stretch things as far as they would go, we suddenly found savings where we hadn’t seen them before. Some detailed online searches helped us easily compare rates between different providers and ensure we were still getting all of the features we needed, in fact we soon learned that we could save an average of $200 on our auto insurance alone. We were able to make further savings by combining our home and car insurance with the one provider, which makes paying bills simple, then haggled with our electricity provider to get a better rate from them as well. After realising the savings that we were able to make I nearly kicked myself for not looking more closely sooner, but it also helped me realise the need to review all of your ongoing costs regularly. While it can be quite a quick process to review insurance providers online, it isn’t the type of thing you want to do all at once, so I’ve found the easiest way to tackle things is by looking at one area at a time rather than everything together. Instead of looking at all of our bills, we just picked insurance and worked on getting the best deal we can. After making any changes, adjusting our budget and celebrating a little we moved onto electricity or gas and would do the same. We were more than happy to take our time, even tackle one per week, but it really doesn’t take long to knock those costs down and make a pretty big difference if you remain motivated and are working towards a goal. Do you have a good tip for cutting the cost of insurance or other bills?